HLVY Group sets a higher standard in the Sports & Fitness sector through a portfolio of companies spanning health club operation, risk management consulting, technology, media and content creation, and corporate and residential luxury fitness center design and amenity management. Jeff Halevy is a fifteen-year veteran of the medical, health and fitness industries. His career has spanned health club ownership and development; health, medical, and fitness industry consulting from advisory, to content creation, to risk management; public health advocacy, most notably as a Michelle Obama handpicked Let's Move! 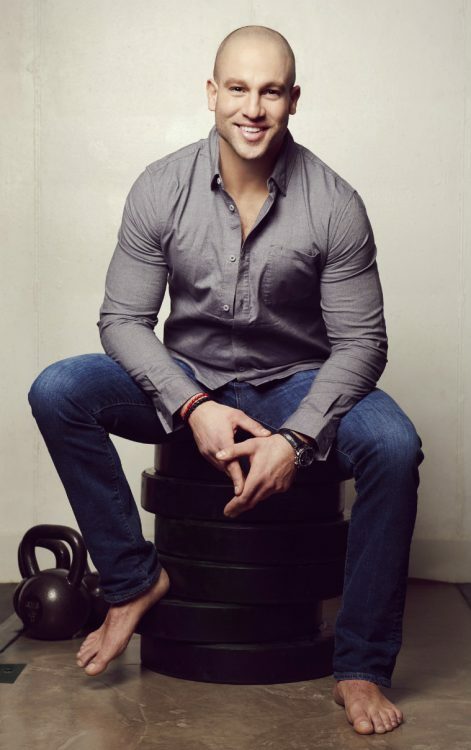 partner; as well as bringing his message to households globally through his own internationally syndicated TV show “Workout From Within with Jeff Halevy,” which currently airs in over 30 countries, and on NBC's "Today Show," where he served as its fitness correspondent. Jeff is considered a thought leader and innovator in the fitness industry, which has earned him distinction in the mainstream media, with features by CNBC, Fox, Forbes, Inc. Magazine, and Women's Health -- to name a few -- as well as trade publications like Club Solutions. Jeff has also earned distinction by being handpicked to join Michelle Obama's childhood obesity campaign, "Let's Move!" for which he created the most demonstrably effective technology-based program. Because of his expertise, Jeff is a sought after authority, who regularly works with brands like asics, Aflac, Weight Watchers, and Dove. He has consulted a variety of esteemed medical institutions including Human Genome Sciences, Howard Hughes Medical Institute, and Hospital for Special Surgery.